I am an attorney practicing in the areas of constitutional rights, civil liberties, and First Amendment protections of religious free exercise, speech, and freedom of association. I have represented churches of Scientology for nearly forty years in that capacity. I successfully have argued cases on behalf of the churches, as well as other organizations and persons, in the Supreme Court and most federal circuit courts of appeals. I write with respect to the “documentary film” by Alex Gibney, based closely upon the book authored by Lawrence Wright entitled Going Clear: Scientology, Hollywood, and the Prison of Belief. I strongly urge HBO to cancel its sponsorship of this film, which will only serve to disseminate religious intolerance and prejudice against the Scientology religion, its ministers, and its membership, contrary to American principles of religious freedom and equality. Mr. Wright’s book proceeds from a fundamentally biased and indefensible premise: that there is a “widespread assumption that Scientology is a cult and a fraud.” (Going Clear, pg. xii.) Giving that premise its ordinary and plain meaning, according to Wright both the general public and government authorities agree (a “widespread assumption”) that Scientology is a false religion, its religious beliefs and doctrine are without basis and unworthy of respect and the Church promulgates them knowing they are false (the definition of fraud), and that it, as a “cult” (as that term is used in common parlance as a term of degradation), is not entitled to the respect and constitutional protections of older and more traditional religions. From that premise, Wright proceeds in a one-sided attack against the religion and the Church based upon his discussions with a selected group of anti-Scientology apostates with an agenda to destroy the Church and the religion. And given that Mr. Gibney’s film is based upon Mr. Wright’s book and shares that underlying premise, that project inevitably has resulted in a similarly contentious and biased broadside against a worldwide religion. But that premise, upon which both Mr. Wright and Mr. Gibney rely, is both factually wrong and demonstrates a fundamental failure to understand the central concepts of religious liberty in the United States and, increasingly, the world. Indeed, its very statement discloses the closed mind, willful blindness and bigoted perspective of its author. Let us first look at that part of the premise that Scientology is widely assumed to be a cult and a fraud. Wright cleverly – too cleverly by half – attempts to hide his own opinion that Scientology is not a genuine religion by characterizing it as a “widely” accepted position. But if that were true, one would expect that the Church’s claim to be a bona fide religion in the theological, sociological and legal sense has been rejected. The truth is quite the opposite, however. Both in the United States and internationally, Scientology has been widely recognized as a bona fide international religion entitled to all the rights to religious freedom and free exercise inherent in such status. Only by ignoring this fact, which is a well-known matter of public record, can Wright make such a biased statement. That the Scientology religion has achieved such recognition in the relatively short time since its emergence as a new religion in the middle of the twentieth century is quite remarkable from an historical perspective. All religions have faced fierce and violent opposition from the established order, and have had to fight for their right to exist and promulgate their faith. Judaism was treated as a false cult by the conquering Romans (to whom it was a “new” religion), and the Jewish rebels’ stand at Masada was denounced as the height of zealotry and madness. The ultimate result of Roman bigotry was genocide and Diaspora. But Judaism survived because of the faith and strength of its people. Christianity, of course, began as a small offshoot of Judaism. It was labeled as a dangerous cult by existing authorities, and saw its founder crucified as a false prophet who misled his followers with fraudulent and invented claims. After centuries of being subjected to oppression and murder, it finally became the predominant religion of the West when Constantine declared it the Roman state religion. Thus it went from being a dangerous “cult” to the “one true faith,” demonstrating, as Tom Wolfe has written, that a cult is merely a religion without political power. The “one true faith” then instituted something called The Inquisition, in which it tortured, hung, and burned men and women for centuries because they followed allegedly false or heretical religious ideas or created new churches, always described as cults. After the Protestant Reformation, there followed several hundred years of religious wars and massacres, with each side claiming God to be on its side and that the other side followed a fraudulent faith. In more modern times, Salem burned “witches” and Baptists and Quakers were hung on the Boston Common because their teachings were deemed false and they were considered a cult. Mormons were hounded from state to state, fleeing murders and lynchings, because they too were accused of being a fraudulent and abusive cult. Christian Scientists are still accused of being a fraudulent cult that costs the lives of its followers. The list is endless. Scientology and Scientologists have been subject to the modern day equivalent of inquisitions, witch hunts, and heresy trials. In the United States, in Europe and other parts of the world, the churches of Scientology have faced extreme suspicion, hatred and violence, typically instigated by sensationalistic media accounts and the prejudice and ignorance of uninformed government officials. In every such instance, the anti-Scientology efforts have been stirred up by invented charges and accusations from a few disaffected former Scientologists typically wishing to take over the church themselves or to create a counter-Scientology church. But, contrary to Wright and Gibney’s shared premise, after years of struggle, Scientology churches have achieved recognition as legitimate churches of a modern religion according to relevant legal, theological and sociological criteria. They have done so through strictly legal and peaceful means, using existing judicial, administrative and governmental channels. I know of no religion in the modern era that has won so many Supreme Court decisions and national administrative rulings in recognition of its religious liberty around the world. To the unbiased, any one of these decisions would be proof enough of Scientology religious bona fides. I provide you with a few of the more dramatic examples, since Wright and Gibney failed to do so. Denying the Church tax exemption and harassing parishioners with arbitrary and religious discriminatory audits and tax assessments. The City of Clearwater, induced by a personal injury attorney and by an orchestrated media campaign to incite hatred against Scientology based upon the self-interested false allegations of the attorneys’ apostate clients, enacted an ordinance openly intended to force the Church in Clearwater, which is a unique Scientology church providing the highest level of religious services to parishioners who visit from throughout the world, to move out of town. But the Church overcame each one of these and other obstacles, won the right to preach its doctrines, to publish its scripture, to engage in its practices, and to participate in the religious and cultural life of the nation. Today the Church is properly recognized as a bona fide tax exempt organization, and enjoys peaceful and cooperative relations with, among other institutions, the State Department, the Department of Homeland Security, the Internal Revenue Service and the City of Clearwater, where it is the major contributor to the local economy. The United States Court of Appeals for the District of Columbia Circuit held that Scientology “has ministers, who are licensed as such, with legal authority to marry and to bury. Its fundamental writings contain a general account of man and his nature comparable in scope, if not in content, to those of some recognized religions. The fact that it postulates no deity in the conventional sense does not preclude its status as a religion.” The Court prohibited the government from seizing and burning its religious books and artifacts. The broad recognition of Scientology as a religion in the United States is not limited to court decisions. Most significantly, the United States Internal Revenue Service, applying the First Amendment standards enunciated by the Supreme Court and other federal and state courts, recognizes all Scientology churches as tax-exempt churches within the meaning of 26 U.S.C. § 170 and § 501(c) (3). The recognition came after a years-long struggle by the Church to overcome false perceptions and misinformation, most of which came from disgruntled ex-members who were expelled from the Church, as well as grossly improper and intrusive IRS administrative actions, as several court decisions found. In 1991, the Church’s ecclesiastical leader, Mr. David Miscavige, unilaterally made an unscheduled visit to the IRS Commissioner to resolve the dispute. There followed a two year process in which the IRS conducted the most thorough inquiry in its history into a tax exemption matter. After this unprecedented review, in 1993, having resolved all pertinent and relevant questions, the IRS acknowledged that all Scientology churches were bona fide churches entitled to exemption, rejecting all claims of alleged fraud, inurement, and commercialism. In order to qualify as a tax-exempt church under Section 501(c) (3), each Scientology Church had to show and the IRS had to find that it was “organized and operated exclusively for religious, charitable… or educational purposes,” and not to carry on a commercial business of selling goods or services. Scientology churches also are recognized as religious organizations entitled to tax exemption by state authorities throughout the country, including California, New York, and Florida. And the United States Department of Homeland Security has found that Scientology’s religious order, the Sea Organization, whose members volunteer to devote their lives and future for eternity to the Scientology religion, “qualifies as a religious order, and that its members practice a religious vocation,” thereby permitting Sea Organization members to enter the country under that rubric. Even outside the United States, where traditions of religious liberty are more tenuous, there is overwhelming and accelerating acknowledgement of Scientology’s bona fide religious status. These developments are well known and available to any competent researcher, yet Wright made no mention of them because they destroy his biased premise. 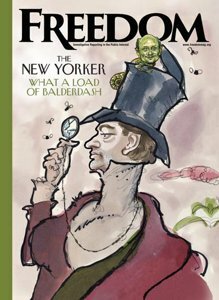 Australia provides a particularly important example of these developments, as well as of Wright’s revisionist history and infidelity to truth. Wright presents a one-sided discussion of the infamous Australian inquiry into Scientology which led to the banning of the religion in three Australian states. While Wright acknowledged, albeit only in a single six-word footnote, that the ban was repealed in 1973, he did not tell the whole story, thereby depriving his readers of significant facts. 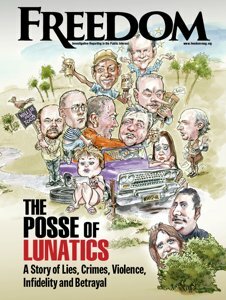 Scientology became the target of nearly two decades of hostile and twisted media coverage designed to marginalize Scientologists to ensure they had no rights. Homes of Scientologists were raided by police who confiscated and destroyed Scientology religious texts. Individuals in possession of these materials were subject to arrest and prosecution. Scientologists were forced to practice their religion in secret such as hiding books and E-Meters under floor boards or leaving the three states to practice their faith elsewhere in Australia or abroad. The Church fought against this modern day inquisition – the ban, the discrimination, and the biased publicity of the press. It proved that the false and derogatory information spread by the biased inquiry was completely unreliable and unsupported by evidence. In 1973, Western Australia repealed its state law against Scientology. In 1974, South Australia did the same. In 1982, the Psychological Practices Act 1965 was described by Victoria’s Health Minister as “a nonsense law” and was repealed by Victoria’s Parliament. The ideas of Scientology satisfy the first two indicia [of a religion]: they involve belief in the supernatural and are concerned with man’s place in the universe and his relation to things supernatural. Scientology in Australia also satisfies all of the other above-mentioned indicia. The Adherents accept the tenets of Scientology as relevant to determining their beliefs, their moral standards and their way of life. They accept specific practices and participate in services and ceremonies which have extra-mundane significance. In Australia they are numbered in thousands, comprise an organized group and regard Scientology as a religion. Wright likewise ignores the history of persecution of the religion in Italy, and the subsequent recognition in that country that Scientology is a bona fide religion and cannot be subject to inquisition about its beliefs and practices. 450 machine-gun toting Carabinieri simultaneously raided every Church and Mission of Scientology in Italy on the specious charge that Scientology was not a religion but a “fraud,” i.e., that its beliefs were false. The police arrested 38 Church staff, holding some in jail for months. The police seized the Churches’ religious materials. The police shut down every church (putting chains on the doors and sealing them from entry by all ministers and congregants). The raids received international media coverage. Finally, from a strictly logical point of view, … the methods employed by the organization appear far less exaggerated when considering the fund-raising methods employed in the past by the Catholic Church, of which no one ever dreamed of denying its religious status based on such fund-raising methods. Spain provides another example of extreme efforts to suppress and destroy Scientology as a new religion, met by years of struggle by the Church to protect the rights of religious freedom for itself and its parishioners, ultimately resulting in complete vindication of the Church and recognition of the religion under the Spanish Constitution. It also provides yet another example of Wright’s silence in the face of further clear evidence of the falsity of his underlying premise: that it is a “widespread assumption that Scientology is a fraud and a cult.” The story of Scientology in Spain is a direct refutation of that premise. It deserves special attention. On 20 November 1988, the International Association of Scientologists held a religious convocation in Madrid, Spain, which was attended by Heber Jentzsch, the President of the Church of Scientology International as well as many other foreign Scientologists. Based in major part on a years-old false complaint by an expelled apostate, Spanish authorities had illegally wiretapped the phones of the local Church and thus obtained advanced notice of the religious convocation. During the religious gathering, Guardia Civil carrying and pointing machine guns raided the religious convocation and arrested all foreigners in attendance, handcuffing 72 in all and parading them in front of the media (to stigmatize the Church and its members), before carting them off to one of the worst Spanish jails. Mr. Jentzsch and others were imprisoned in Madrid’s notorious and infamous Carabanchel prison. Carabanchel specialized in political prisoners throughout the Franco regime enduring inhuman treatment, physical abuse and medieval conditions. In addition to living in unspeakably filthy and unlivable conditions in a cell with only a hole in the ground for a toilet, the President of CSI endured death and assault threats during incarceration. The same tired allegation that defendants were engaged in “fraud” merely by practicing and evangelizing their religion. The Church was involved “somehow” in the assassination of General Franco’s anointed successor-to-be – Carrero Blanco. The decision was so decisive that the government did not even bother to appeal. The positive conclusion favorable to its consideration as a religious entity emerges “prima facie” from its bylaws as well as from the doctrine/teachings presented, and also from the fact that the association is similar to others that are rightfully registered in official registries in countries of similar jurisprudence and culture. Wright’s discussion of the efforts of what amounted to a few German officials to destroy the religion in Germany are fully refuted in a separate letter to you from William Walsh, international human rights counsel for the Church of Scientology International. enactment of a new law that denies religious recognition to many new religions. On October 1, 2009, the Court again issued a unanimous decision finding that refusal to register the Churches interfered with their rights to religious freedom and religious association under the European Human Rights Convention, thus affirming the rights of Scientologists to establish their Churches free from arbitrary government interference. A similar history took place in the United Kingdom. And, again, the result is a recent landmark Supreme Court ruling in December 2013, overturning the discriminatory application of an act of Parliament from 1855 narrowly defining religion in classic Victorian terms, and recognizing Scientology as a bona fide religion. On 25 July 1968, Minister of Health, Kenneth Robinson, announced a ban on the entry of foreign Scientologists coming to the UK to study. Robinson engaged in an orchestrated campaign, typically based upon attacks upon the validity of the religion by apostates and tabloid media, to drive Scientology out of the UK. After over a decade of legal struggle and public education about Scientology, the ban was finally lifted in 1980 after 92 members of Parliament signed an Early Day Motion, entitled “Justice for Scientologists,” calling for the Home Secretary to lift the ban. In 1970, the UK Court of Appeal denied an application by a Scientology minister to register the Scientology chapel at Saint Hill Manor as a place of worship, thereby prohibiting Scientologists to engage in a legally binding and recognized religious marriage ceremony. The Court found that under the 1855 law Scientology failed to qualify because it did not include traditional worship of an anthropomorphic God. For over 40 years this decision was used as a precedent by various agencies in the UK as a tool of discrimination against the Church and its members. The Church continued to oppose the application of the Victorian era law, both in the marriage context and generally. In 2011, a new application for place of worship status was filed by the Church of Scientology in London and a Scientologist who wished to be married in her Church. In December of 2013, the UK Supreme Court overruled the application of the 1855 Act of Parliament as applied by the 1970 decision of the Court of Appeal. 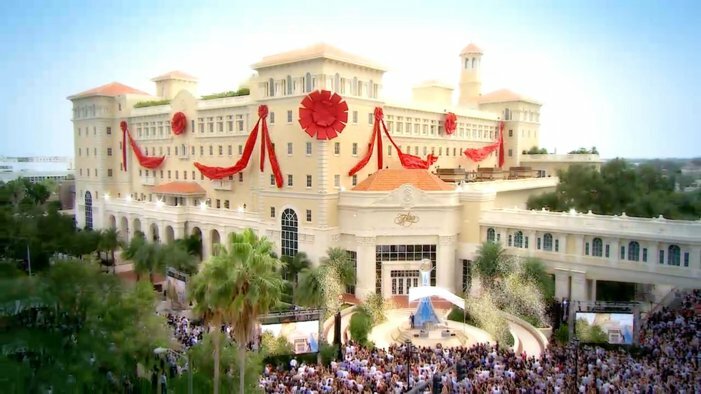 It unanimously held that the Chapel of the Church of Scientology must be registered as a religious place of worship precisely because Scientology is entitled to religious recognition, stating that it “would be a form of religious discrimination unacceptable in today’s society,” to not recognize Scientology. I would describe religion in summary as a spiritual or non-secular belief system, held by a group of adherents, which claims to explain mankind’s place in the universe and relationship with the infinite, and to teach its adherents how they are to live their lives in conformity with the spiritual understanding associated with the belief system. … On the approach which I have taken to the meaning of religion, the evidence is amply sufficient to show that Scientology is within it…. As in the United States, the broad and growing recognition of Scientology as a mainstream world religion is not limited to court decisions. In the past 25 years at least 30 countries have extended formal and legal recognition to Scientology churches as bona fide religious institutions. Among these countries, in addition to those discussed above, are Portugal, Slovenia, Croatia, Ecuador, Venezuela, Costa Rica, Nicaragua, Argentina, South Africa, Sweden, New Zealand, India, Nepal, Sri Lanka, Brazil, Kenya, Tanzania, the Philippines and The Netherlands. Thus, it is clear that Wright’s effort to hide his own intolerant perspective behind a cloud of what purportedly is “widely assumed” must be rejected. Indeed, a journalist or filmmaker cannot call himself objective by ignoring these facts. It is indisputable that Scientology is a widely recognized world religion and has been victorious in the face of 20th century persecution. Wright’s championing of the views of an ignorant minority furthers the biased propaganda that the Church suffered throughout its formative years. ACCUSATIONS THAT A SPECIFIC RELIGION IS A FRAUD OR CULT ARE CONTRARY TO AMERICA’S PRINCIPLES OF RELIGIOUS LIBERTY AND DISCLOSE BIAS, PREJUDICE AND BIGOTRY. But now let us look at the real core of Wright’s religious bias, his claim that Scientology is a fraud and a cult, an assertion repeatedly echoed in Gibney’s film. The claim that a religion is a “fraud,” i.e., that its beliefs and practices are false and unworthy of belief, rings throughout history. And history, from its earliest recordings to today’s newspapers, tells us that it is precisely such sectarian disparagement that has been used to justify religious wars, crusades, jihads, burnings, beheadings, massacres, and genocides. It is a claim that can be made against every religion. Neither Wright nor Gibney are required to share such an ecumenical view, of course. They are free individually or personally to reject all religion or some or none. Indeed, Wright states his view that “religion is always an irrational enterprise” and that “in many cultures, people who might be considered mentally ill in Western societies are thought of as religious healers, or shamans.” Page 83. To Wright, then, all religions are false and many or all are cultic if not psychotic. Given that anti-religious world-view, however, he hardly can present a fair-minded book on the subject without injecting his biases and prejudices. And that he does with a vengeance. The problem becomes acute when Wright, and now Gibney, a biased perspective against the views, practices and doctrine of a particular religion, and use that premise to further a sectarian, one-sided public attack against the religion, its leadership, and its followers, based upon the self-interested ranting of a few disaffected former members. Wright and Gibney accept everything that these apostates say as they fit in with their agenda while giving no credence at all to the religion itself. Wright goes so far as to compare Scientology with viruses  that spread and become lethal, a warning that surely is calculated to invoke fear, hatred, and bigotry reminiscent of the vile propaganda of Goebbels and Streicher. This bias is clearly reflected in Gibney’s film, with its vicious attacks on the content of Scientology religious beliefs. Religious tolerance and freedom after all is still a precarious thing. Even in the United States, every religious group has had to fight to protect its freedom from oppression, whether the Baptists, the Quakers, the Amish, the Catholics, the Jews, the Mormons, the Shakers, the Adventists, the Jehovah’s Witnesses, or the Scientologists. To publicly produce and distribute such a diatribe against a new but growing religion based upon a premise that it is a false religion and a cult is to encourage prejudice among others, and risks the ultimate freedom of us all. What is common to all the persecution and religious hatred the Scientology religion has had to overcome over the years are the false allegations stemming from a small group of apostates in collusion or participation with irresponsible and sensationalistic media. The story is the same no matter the venue – false reports from disgruntled former members, followed by years of persecution. In the end the lies and distortions are disproven and the Church prevails as a bona fide member of the religious community. After so many judicial and administrative decisions, the media’s failure to acknowledge that these self-corroborating “sources,” like those used by Mr. Wright, are not credible and can only be intentional and malicious. This is reflected in Wright and Gibney’s reliance on the false allegations of Marc and Claire Headley, which, as set forth in greater detail in my letter to you of February 20, 2015, were resoundingly rejected by the federal district court in Los Angeles and the United States Court of Appeals for the Ninth Circuit. As I stated in that letter, it is beyond imagination that a journalist and a filmmaker would produce works that repeat the allegations of disaffected former members as if they were true, without even mentioning that the federal courts clearly and unambiguously found those allegations to be without basis in fact. The fact that Wright and Gibney relied upon such sources knowing that their credibility repeatedly had been impeached and rejected demonstrates dramatically the slanted nature of their entire enterprise. There can be no reason for Wright to have omitted the history of abuse and discrimination against Scientology churches and the landmark decisions upholding the churches and the religion and rejecting the allegations of such sources, except that it would have defeated the premise of his book. More importantly, it would have rendered impotent Wright’s attempt to destroy the religion, just like those authorities in Australia, Spain, Italy, Germany, Russia, and even the United States, who used similar false sources for that purpose. His attempt, like those of his predecessors, is doomed to failure. HBO is a major media institution. Historically, the media often has played a pernicious role in spreading and inciting religious hatred, whether in Dreyfus-era France; Nauvoo and Carthage, Illinois, where crowds incited by the press killed Joseph Smith and other Mormon settlers; Nazi Germany; or Clearwater, Florida. The media, however, can and must play a more honorable role. HBO has an obligation not to further the dissemination of one-sided biased attacks against religious institutions and individuals, especially where such attacks proceed from false premises. In summary, on behalf of my client and all Scientologists, we urge HBO to cancel its scheduled cable broadcast of the Gibney film on the ground that it is prejudiced, biased and directly at odds with American religious freedom traditions.